Born in Berditschew in 1928, he tells the incredible story of his life, as a 13-year-old Michael managed to escape three times from the fascist murderer. His entire family was killed at the mass executions. Michael now lives with his wife Sonja in a small apartment in the center of Berditschew, his children emigrated to Canada and Israe. 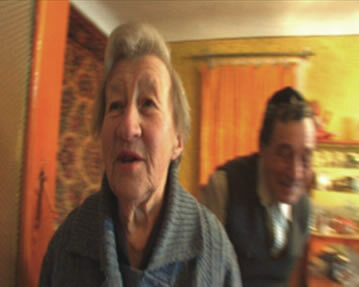 Born in Breditschew in 1928, she describes the chaotic evacuation of their family from Berditschew at the beginning of the fascist aggression, and the story of her husband, who was a young Jewish Red Army soldiers from a POW camp on the Leningrad Front; fortunately, he was able to flee. Born in Berditschew in 1927. 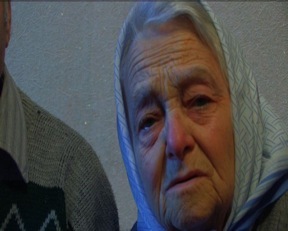 She was graduated in 1941, and as reward,her parents sent her to Charkov where her grandparents lived. Their absence has saved her life, while 42 relatives which stayed in Berditschew lost their lives. 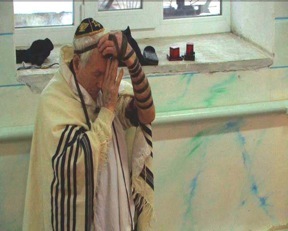 Born in Berditschew in 1927, he lived with his parents and his three younger siblings in the synagogue at the Brodskaja Street. Immediately after the occupation of Berditschew, their Ukrainian neighbors, the Gotowski's, managed to hide the whole family in the basement. Isaac promised to supply the family with aliments. At night, he moved through the surrounding villages to obtain food. The family Bakmajew survived 2 ½ years in the hideout until the liberation of the city. 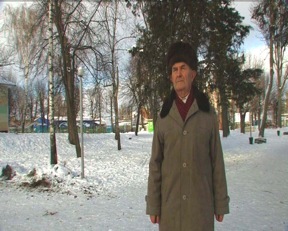 Isaac now lives with his wife Galina, in a new built house in the outskirts of Berditschew.